Add the oil to a large skillet and put on a high heat. Meanwhile, make sure the excess liquid has been drained from your tofu block and cut into 1 inch cubes. After a few minutes, test if the oil is hot enough with a piece of tofu. Once it sizzles, it's ready! Add the rest of the tofu (you may need to fry in 2 batches, depending on your pan size) and fry for a few minutes before turning over and frying on the other sides. They should be golden and crispy. Once cooked, transfer to a plate with some kitchen towel to mop up any excess oil. Keep the pan on the hob but turn it down to a medium heat. Add the spring onions, garlic, ginger, Sriracha, soy sauce and vinegar. Fry for a couple of minutes. 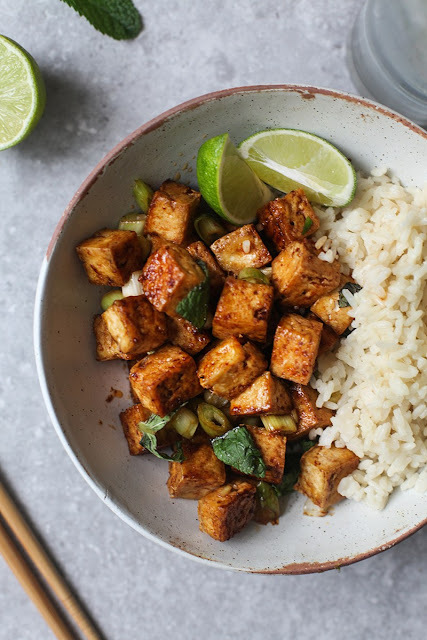 Return the tofu to the pan and coat with the sauce. Serve with rice (use cauliflower rice for a low carb diet) or noodles. Scatter fresh chopped mint on top and a squeeze of lemon juice. 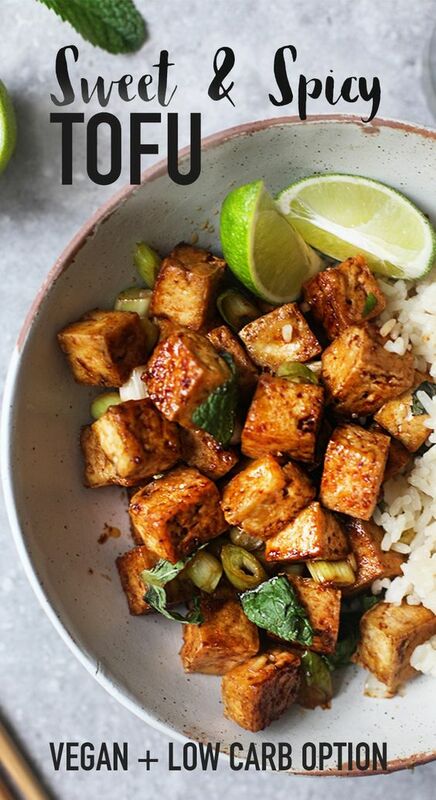 0 Response to "SWEET & SPICY TOFU"